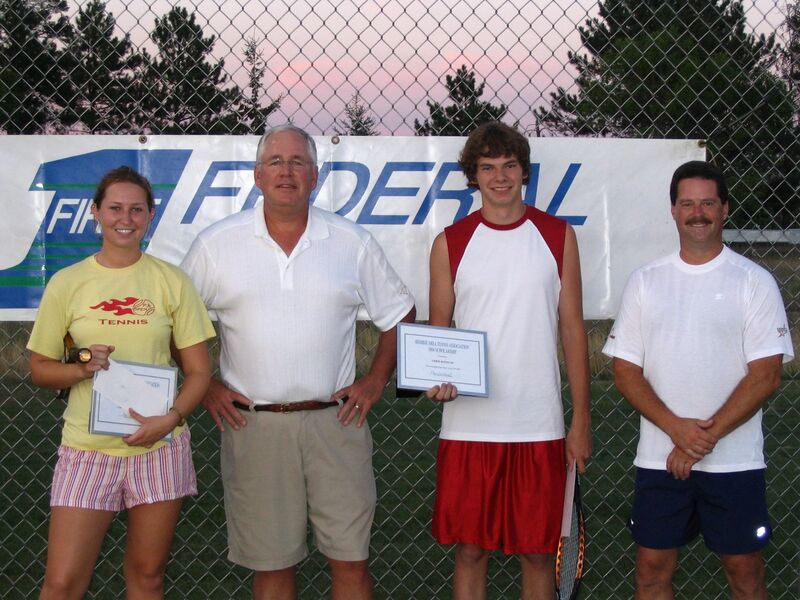 Paul Swartwood (BATA President) and Bill Belford (President of First Federal Bank) presented the annual student scholarships during the Sunday night "Tennis Under the Lights" program. The ceremony was held	at the Bemidji High School tennis courts. The scholarship winners were Dani Evans of Bemidji and Chris Konecne of Bemidji. Chris will be attending Bemidji State University in the fall and Dani will be attending Winona State University.